This the big PB right? Yeeeeha!!!! Dat’s why la we two, funny la!!!! Hahahahahah but yay for PBs!! The small one is on travel is it? Cause mine is hahhahah! Ohhh hahahha so done with ur Pbs edi? I counted wrongly la, I now have 8 PBs left to do oh no, posting frenzy! yeah done with my pbs edi! fuuuyoooohh 8 PBs! from LW is it? Love that Hello Kitty flash drive! Btw, came here to tell you there is an award waiting for you at A Simple Life. Do drop by if you have time. Congrats! Wow! Ralph has this special USB drive....wrapped in leather? Very neat. LOL :D It looks like a blade from here. 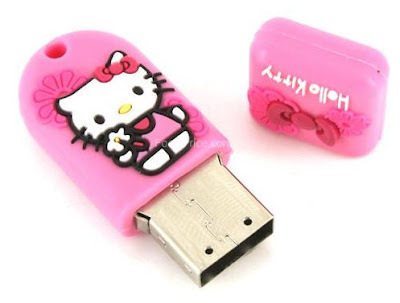 Omg I so want a Hello Kitty flash drive now! there are all kind of flash drive or thumb drive or pen drive etc......wat ever u can call it. 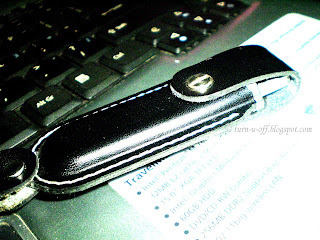 Ohh i love the flash drive that Ralph got.. so neat coz got cover.. i am a storage freak too.. lol! I want to buy the 8gb one!! so cheap now! I came to visit you and I hope that even though we are different countries but we are still brothers ... please visit my site. yeah there are all kinda drives LOL!